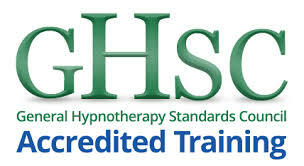 Hypnosis & hypnotherapy in Poole, Bournemouth, Broadstone, Wimborne and Dorset. Welcome to my hypnotherapy website, my name is Rob Clarke and I am a full time professional hypnotherapist with more than 15 years experience. I specialise in helping people deal with issues such as relationship problems, feeling depressed, anxiety, panic attacks, social fears, and phobias. Within the website you will find help and information about many issues which people suffer with such as stress, IBS, OCD and how to deal with other problems such as a lack of confidence and self esteem. Hypnosis is just a feeling of being calm and relaxed with a heightened awareness. We use this very relaxed state of mind to connect with the subconscious mind to give beneficial and positive suggestions helping people to lose weight and to stop smoking. Hypnotherapy is now recognised as a complementary therapy that offers relief from emotional and psychological issues such as fears, phobias anxiety and panic attacks. There are two types of therapy that I use, which are suggestion therapy also called clinical hypnotherapy and Analytical therapy (often known as Hypno-Analysis). More information can be found here: Hypnosis explained. We all get locked into negative beliefs, habits and patterns of behaviour which we later realise are reducing the quality of our lives, but somehow we feel trapped and it is out of our ability to change. At Wessex Hypnotherapy based close to Poole and Bournemouth in Dorset I think of the subconscious area of the mind, which is separate from the conscious mind, as having the ability of making decisions and producing its own behaviour and this is where unwanted behaviours and negative patterns are stored and maintained. Problems can then begin to happen because our subconscious mind seeks to protect us by keeping us away from situations that have brought about an unpleasant experience in the past. When a similar situation occurs, we can become very emotional, resulting in behaviours we often can’t control or explain. Once this starts to change then we can start to realise that we can have more control over how we react, think and feel. I work under the strict guidelines of The International Association of Evidence Based Psychotherapy (IAEPB) This organisation insists on an exceptionally high standard of ethical practice and requires all their members to have a current DBS check (Also known in the past as a CRB check). 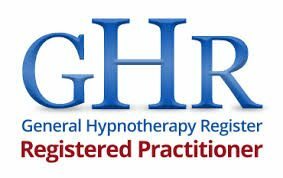 I am also a member of the general hypnotherapy register (GHR). My approach is friendly, relaxed and totally non-judgmental and I work with each client as an individual putting them at complete ease. As such I also enjoy a very high success rate. I feel calmer and am able to enjoy my life much more. I now make the time to go out with my family and am finding things so much easier to deal with. It’s like I know myself so much better than before. Link to analytical therapy. Having battled with my weight for as long as I can remember, following diet after diet, losing the weight – only to put on again. I was really starting to get fed up. I was not happy with the way ~I looked or felt about myself. Somebody suggested to me that I should try Hypnotherapy. I admit that I have always been a little sceptical of things such as Hypnotherapy but after some consideration I decided I had nothing to lose by giving it a go. Thanks for your help Robert – I found hypnotherapy really useful. I found the sessions incredibly relaxing and it really helped to build up my confidence – now I feel much calmer and more focused about my upcoming exams. The simple techniques that you taught me will help not just in the tests but in the rest of my life – thanks! I saw Robert about a year ago and thanks to his helpful techniques that he taught me, I have now lost over a stone and a half! I was surprised how easy it was to keep focused on being positive from day to day. But using the easy techniques that I learnt I find it a simple process to take things day to day and live in the moment. What I like about the therapy was that when I slimmed down and reached my target, I found it easy to stabilise my weight. “So thanks once again Robert for your help”. I went to see Rob because I had a fear of flying and to be honest I was not sure that hypnotherapy could solve my problem. The panic and fear I felt every time I thought about holidays abroad or flying made me physically sick. I would not enjoy the thought of going away or get excited as I was always worried about the flight. Even when relaxing on holiday the journey home was looming and I would start to get very tense and worried about getting home. “Thanks Robert, you really did help me on my way to start losing weight. I enjoyed our sessions and found that I became more motivated and relaxed than when I had tried to diet before. The visualisation skills you taught are a great way of helping me to continue to lose weight even after the sessions had finished”. Since I saw you this summer I have lost 4 stone 7 pounds, and feel more motivated than ever to keep losing that extra weight! For any more information about hypnotherapy and hypnosis or to book a free initial consultation please call Rob on 01202 245020 or 07920 885015.